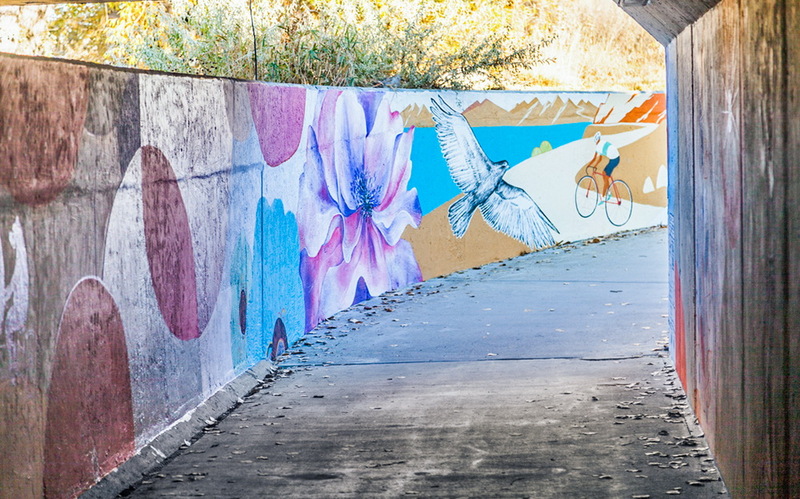 Tunnel Mural on the walls of an underpass in Longmont, CO. 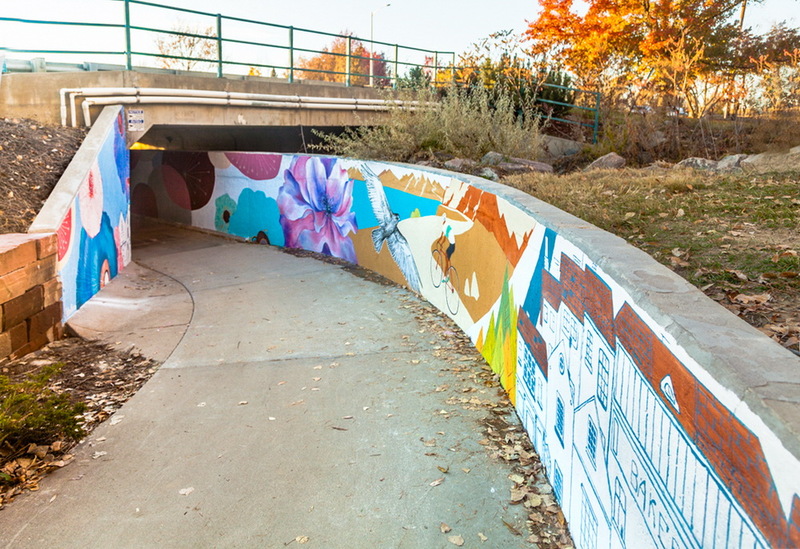 The tunnel is located at 20th and Hover Street in Longmont, CO. 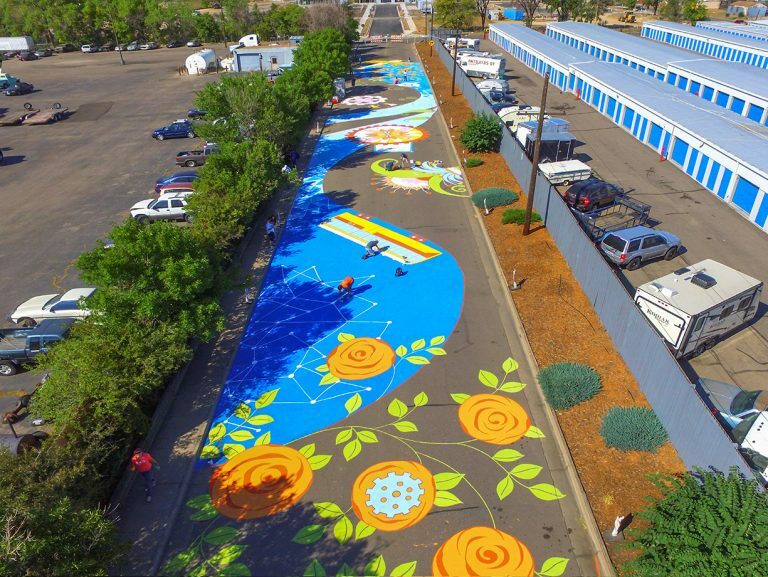 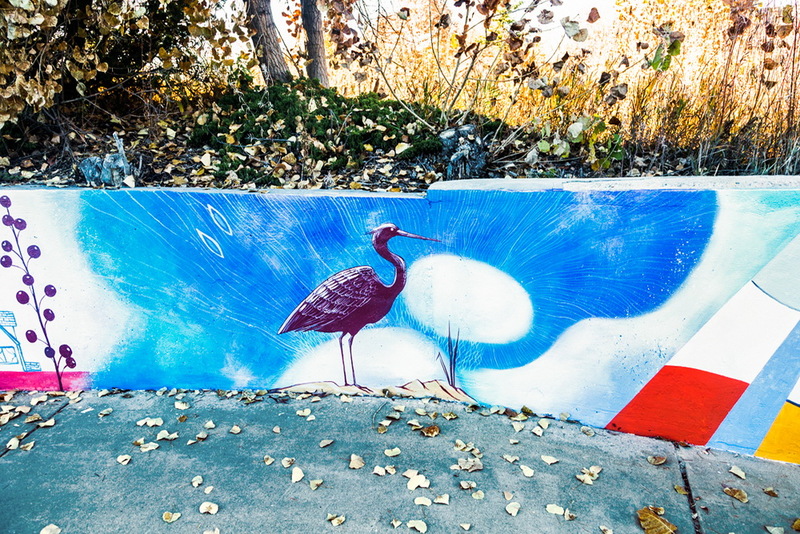 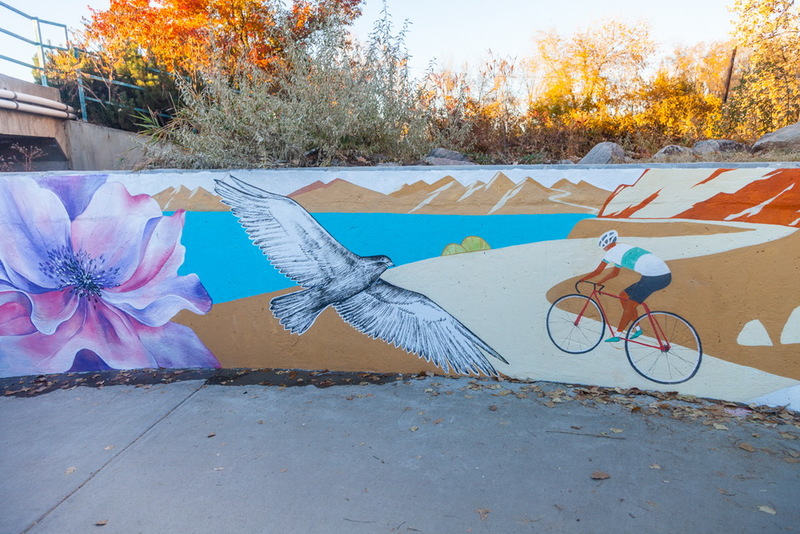 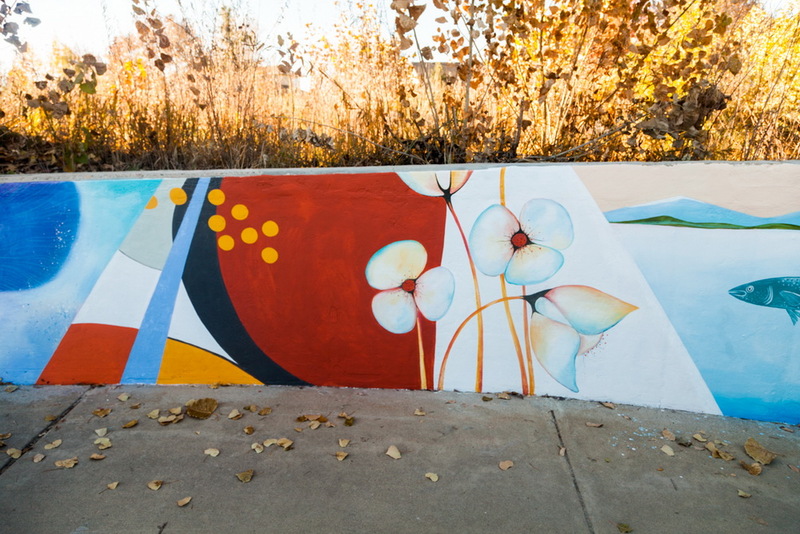 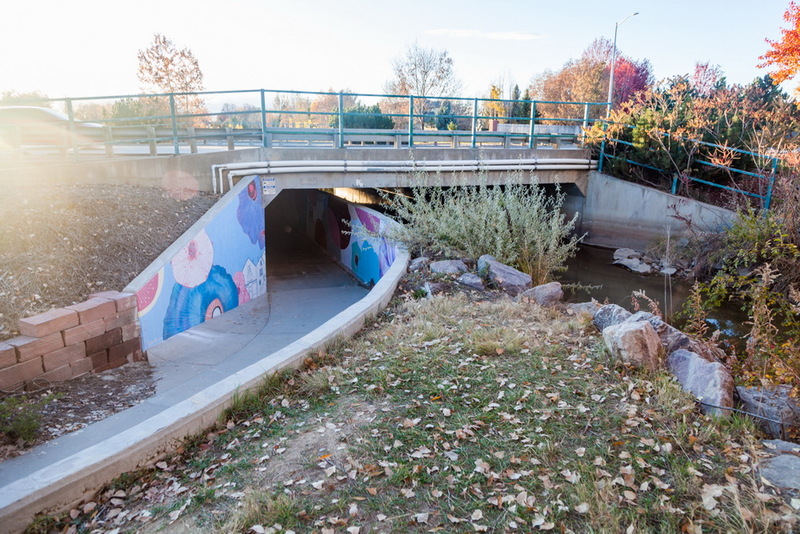 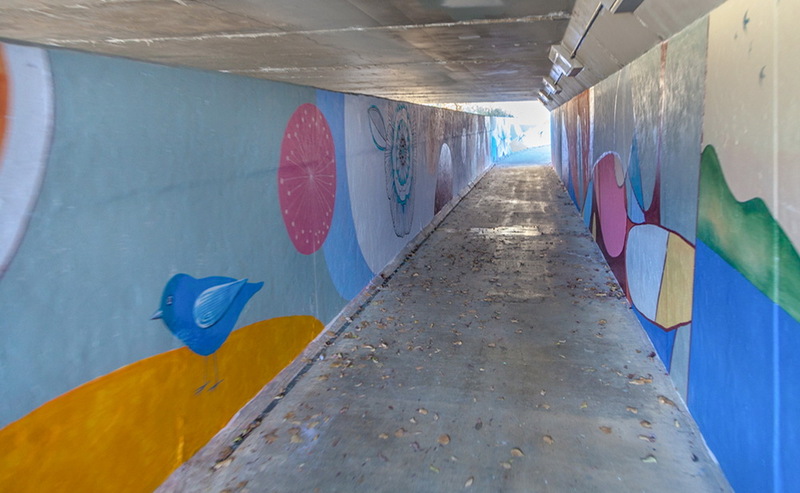 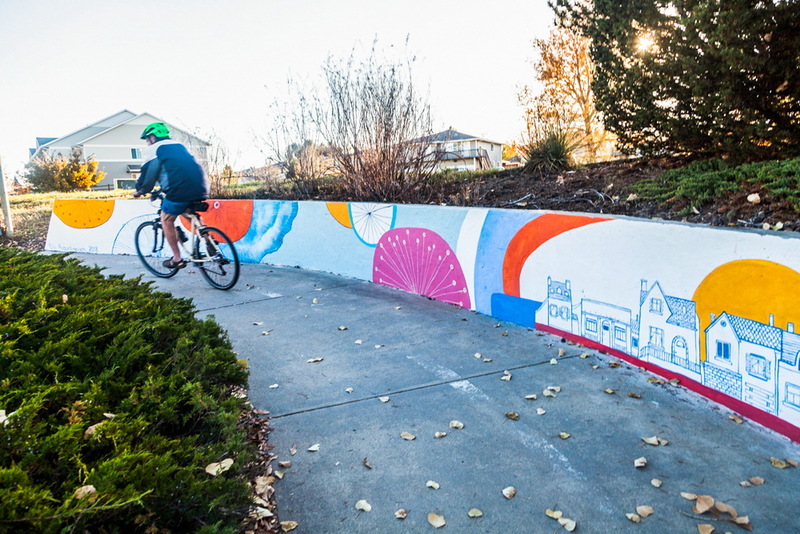 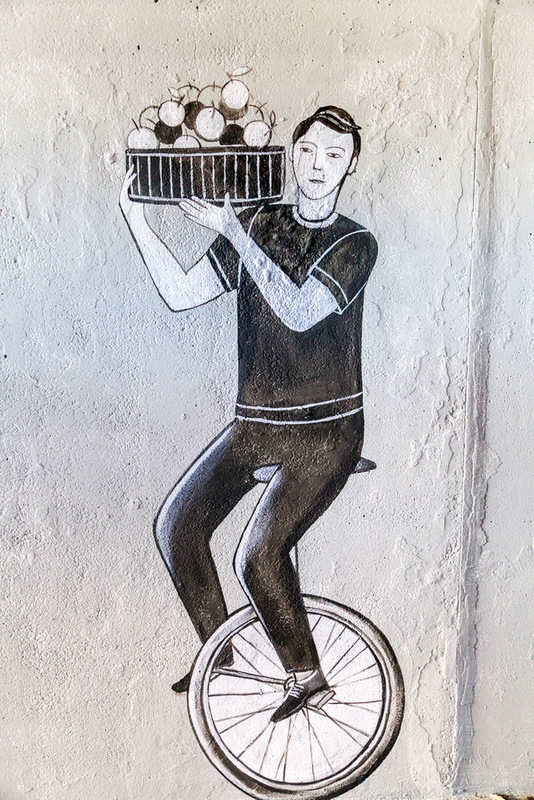 It is a heavily used bike and pedestrian path that connects some main trails in Longmont CO.
Before the mural was painted the underpass was a sad and even unpleasant part of the trail, that many people tended to avoid. 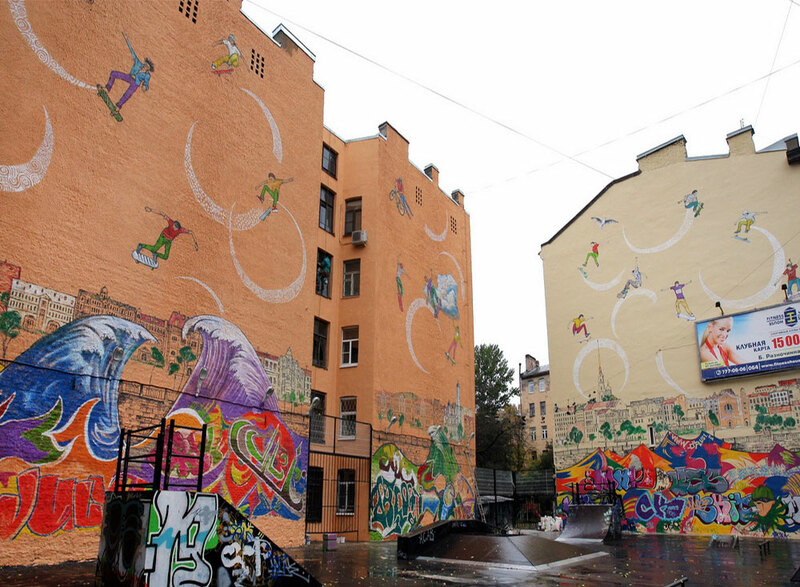 Myriads of tags, graffiti, and dull lighting made it unwelcoming place. 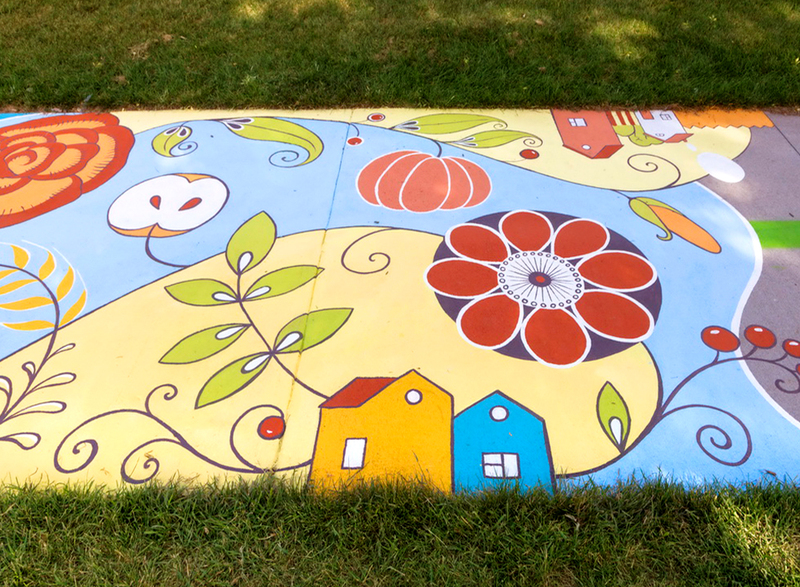 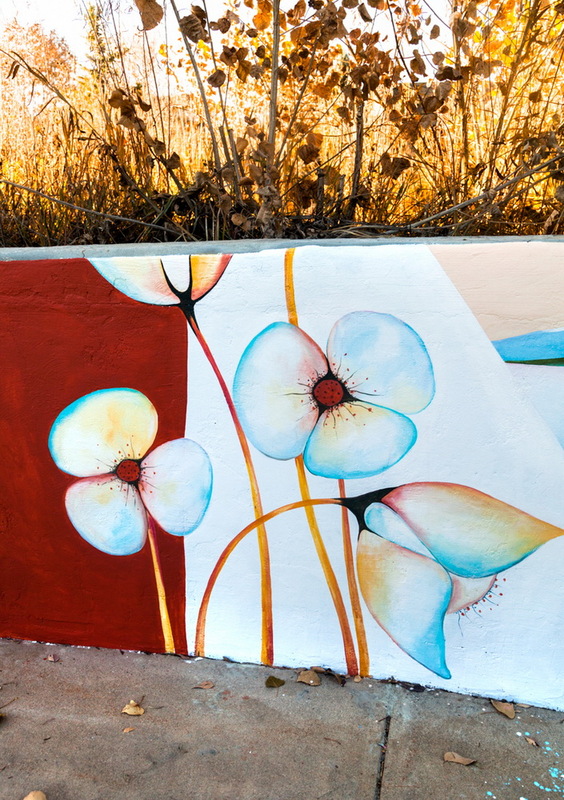 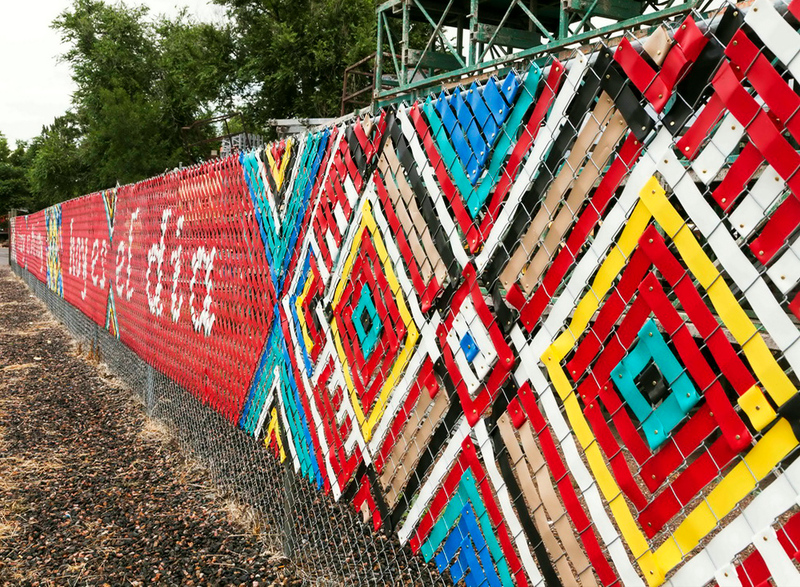 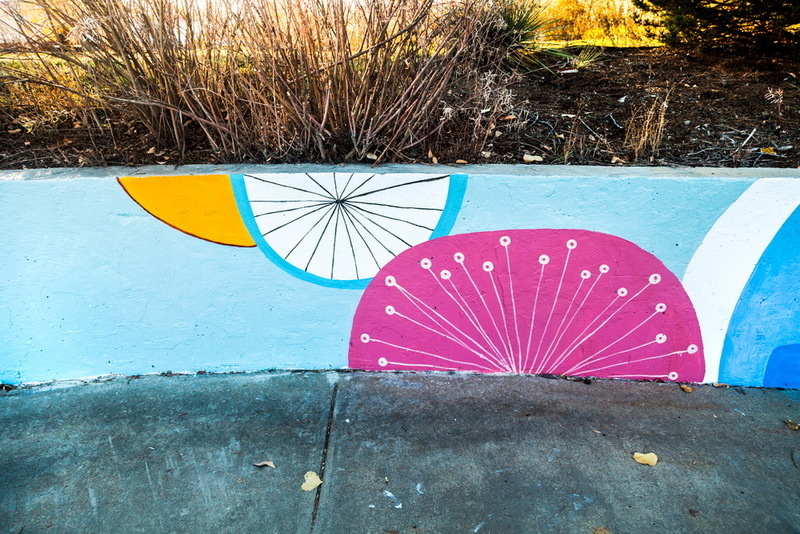 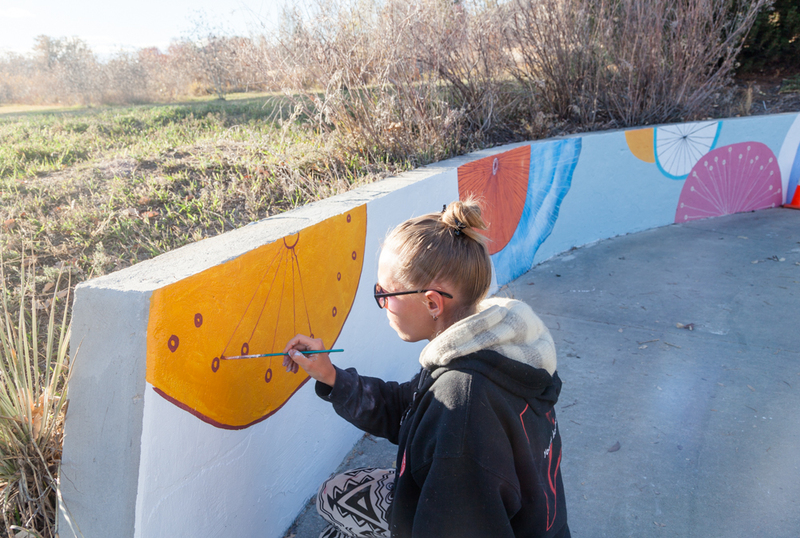 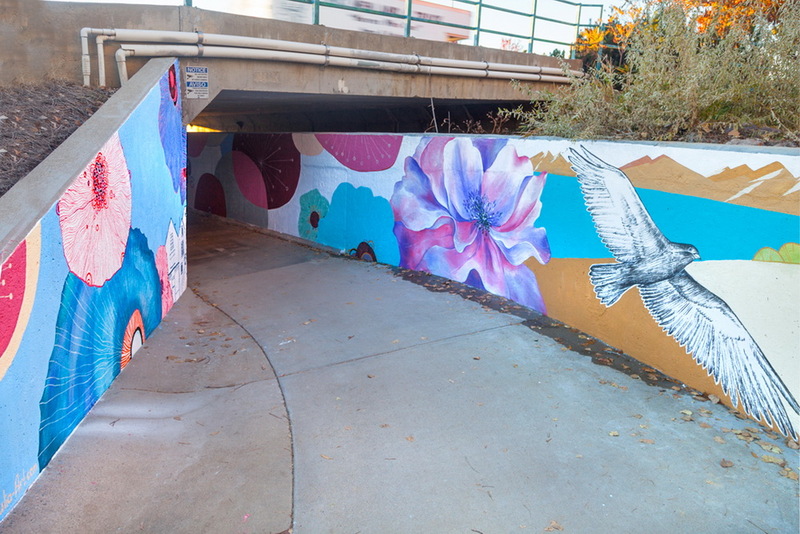 The project was a part of the City of Longmont’s Art in Public Places and the Police departments graffiti prevention program. 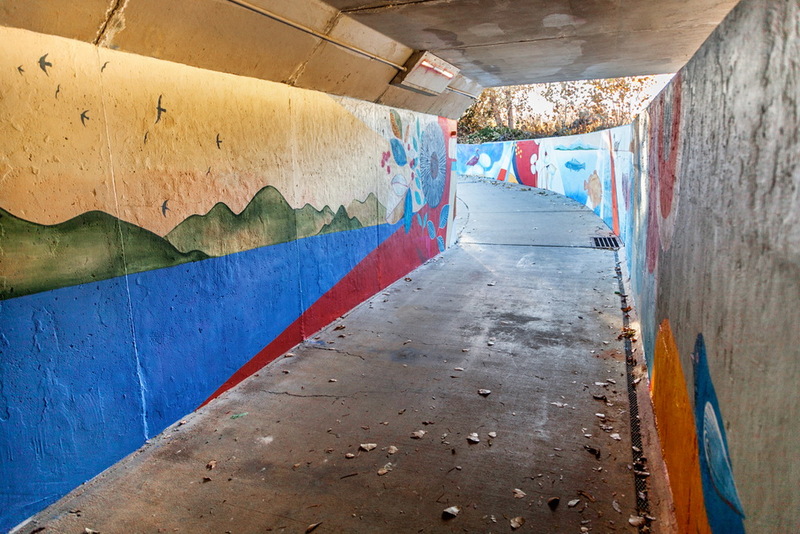 The walls with the mural were covered with an anti-graffiti coating, security cameras and bright lighting were placed in the tunnel. 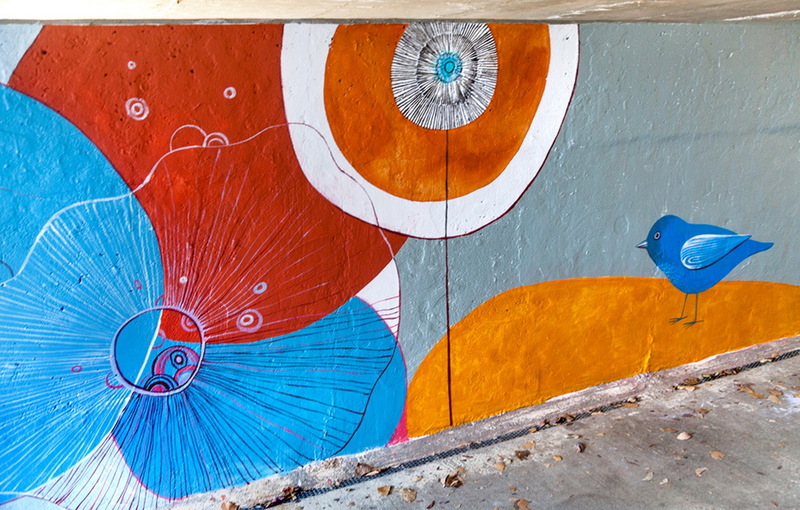 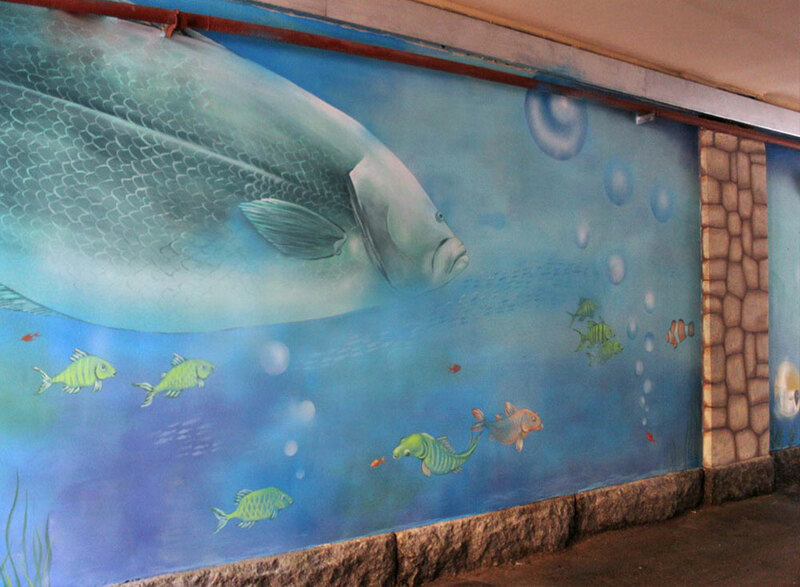 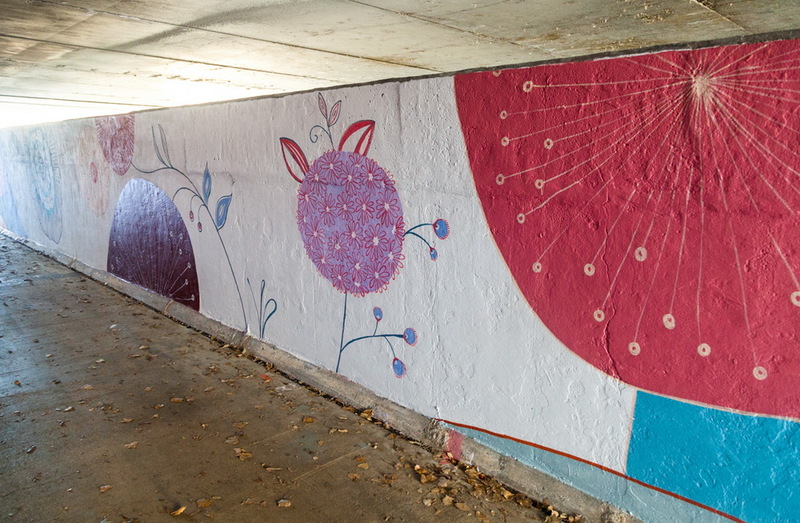 Now the underpass is turned into a beautiful and positive art experience, that everybody is enjoying. 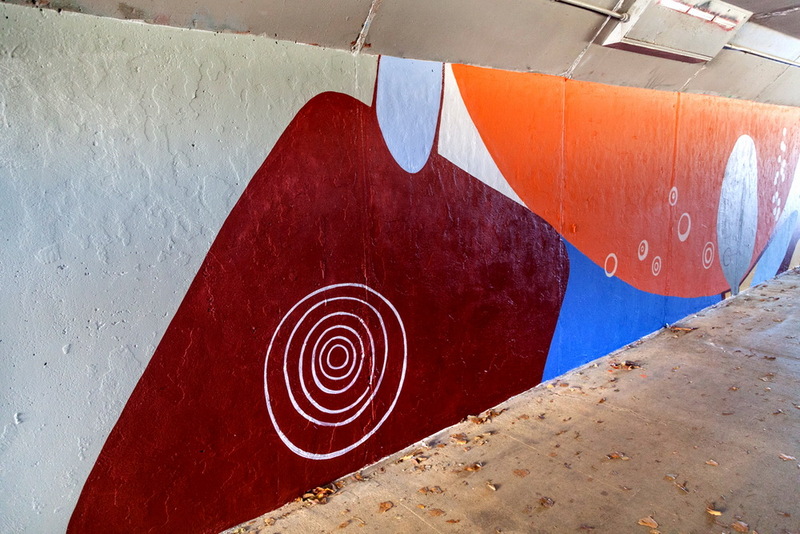 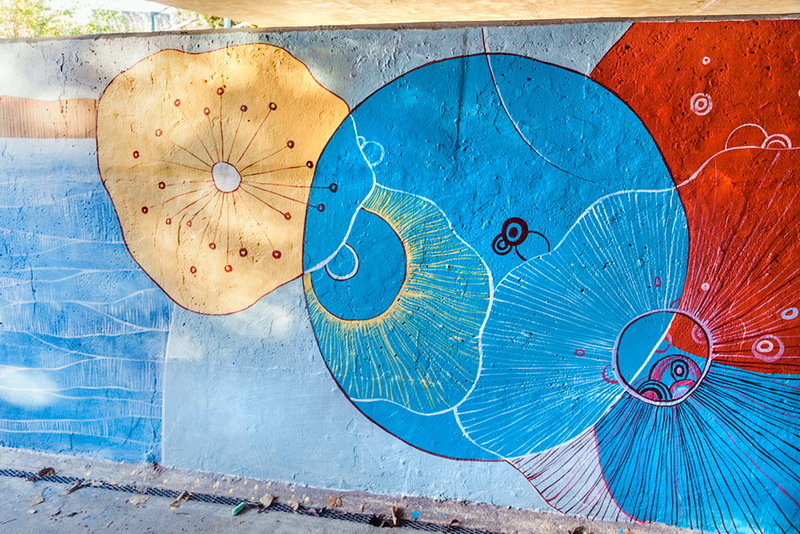 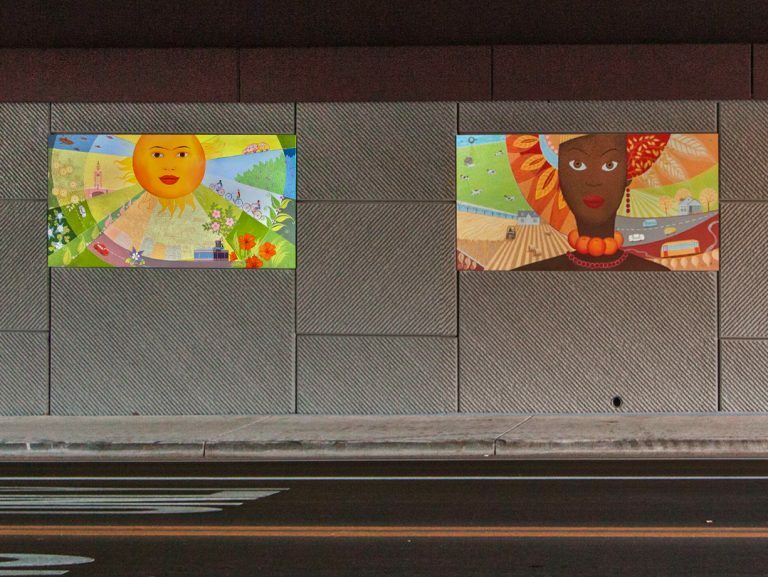 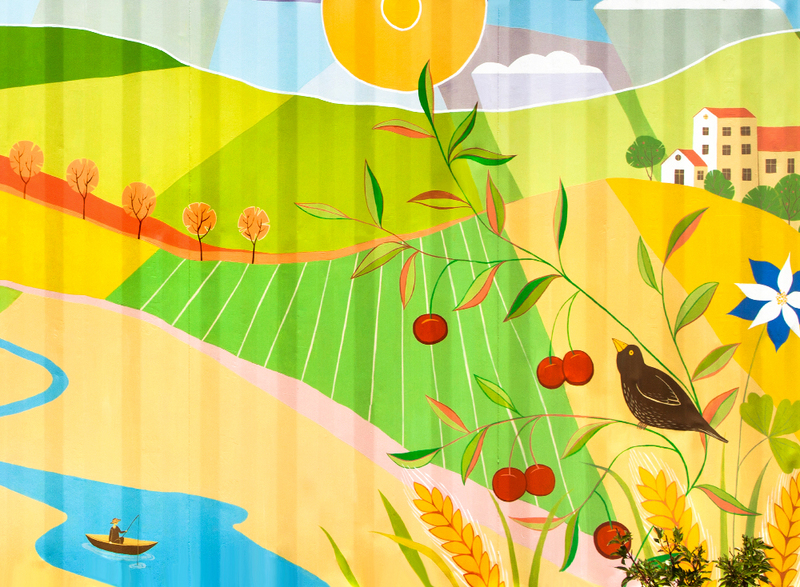 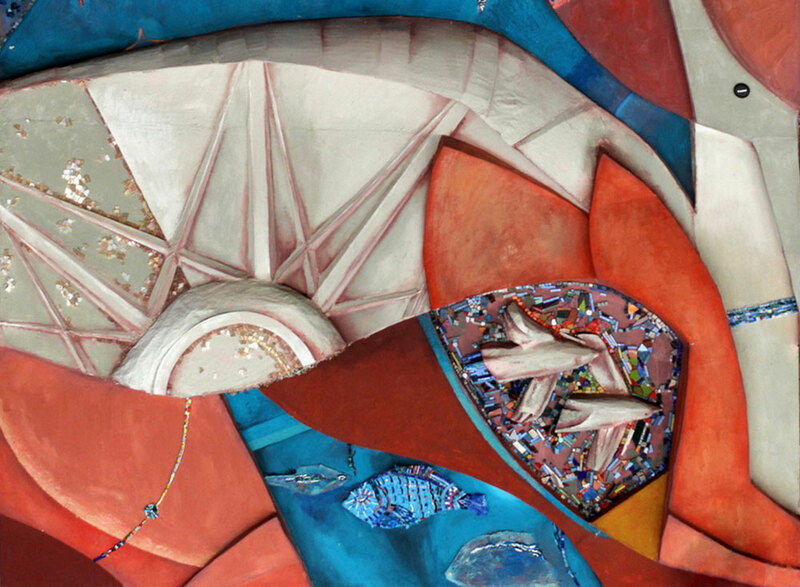 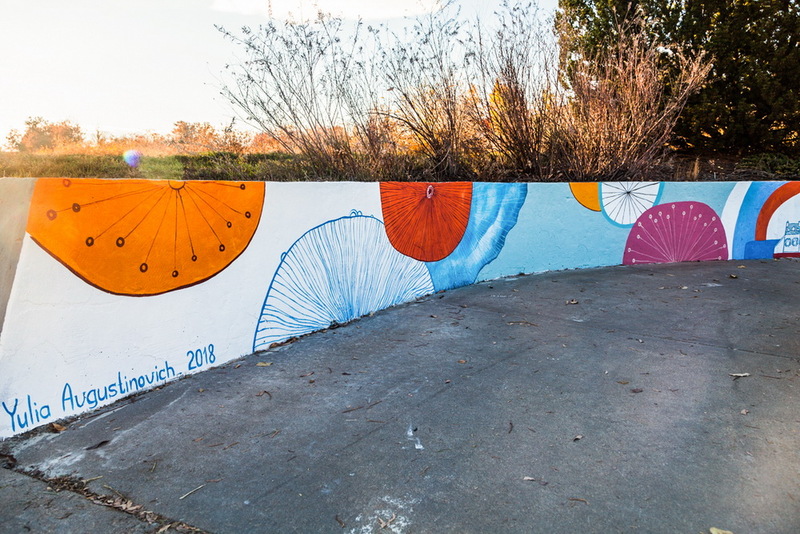 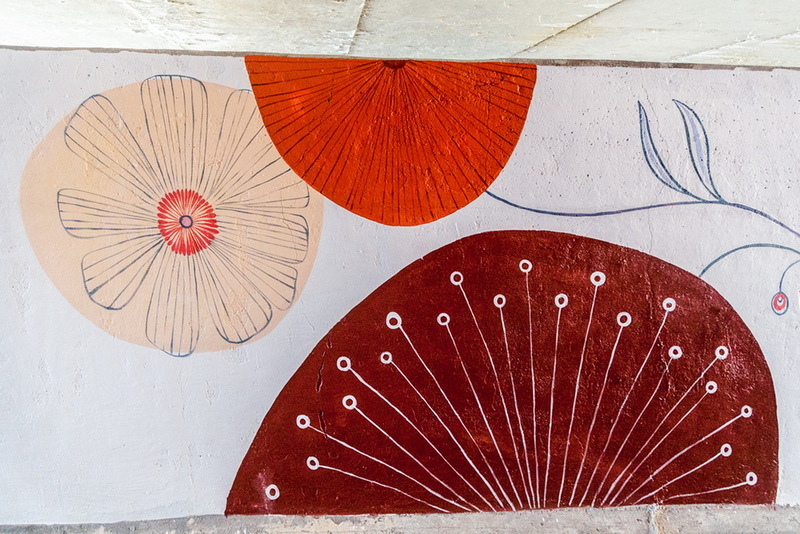 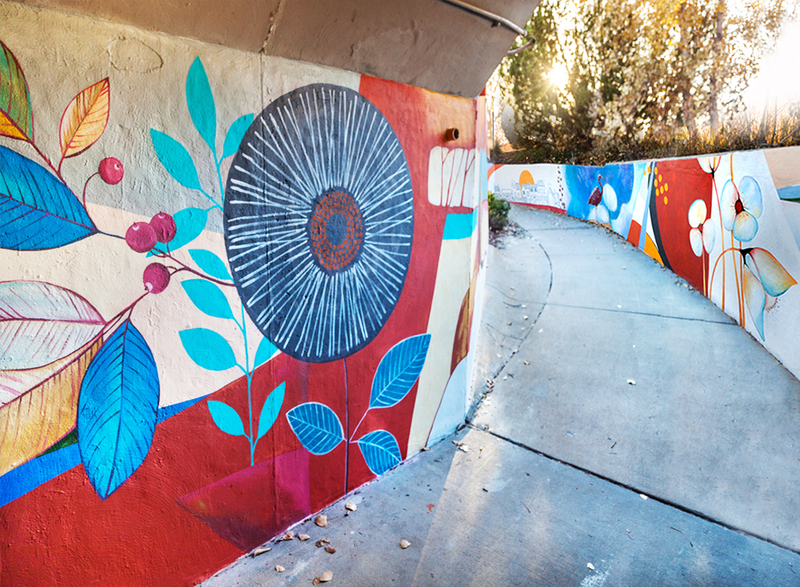 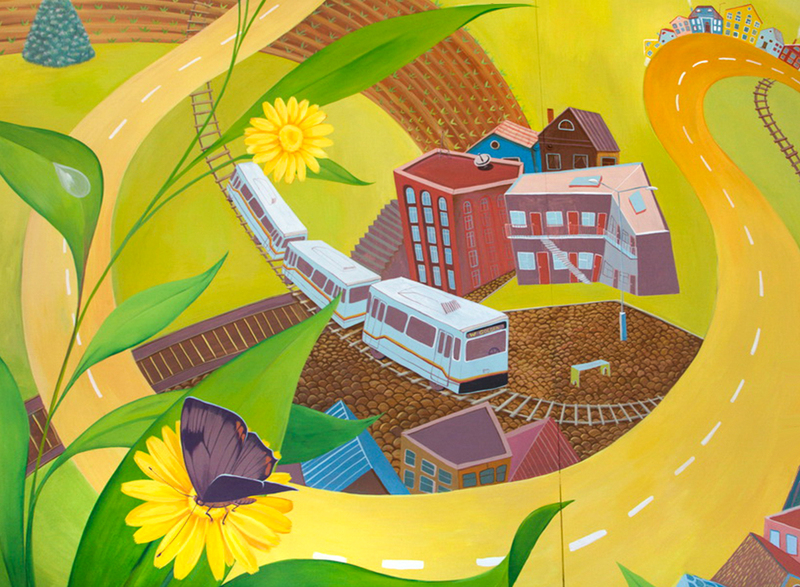 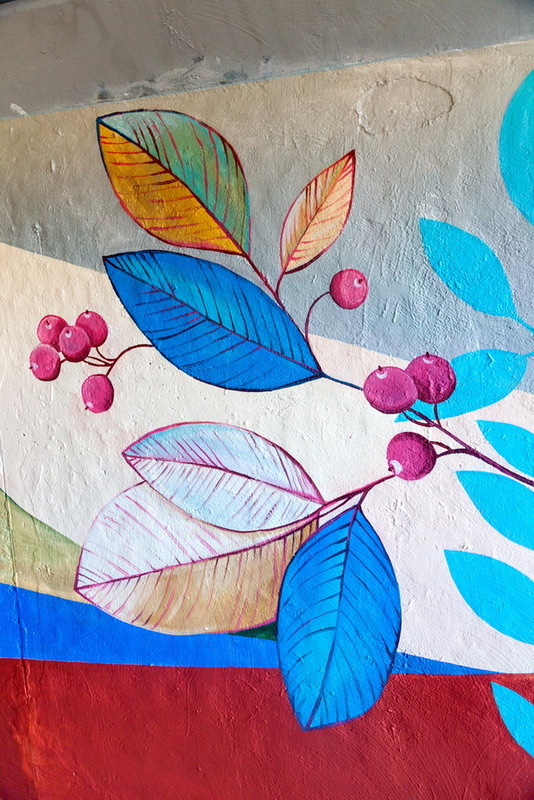 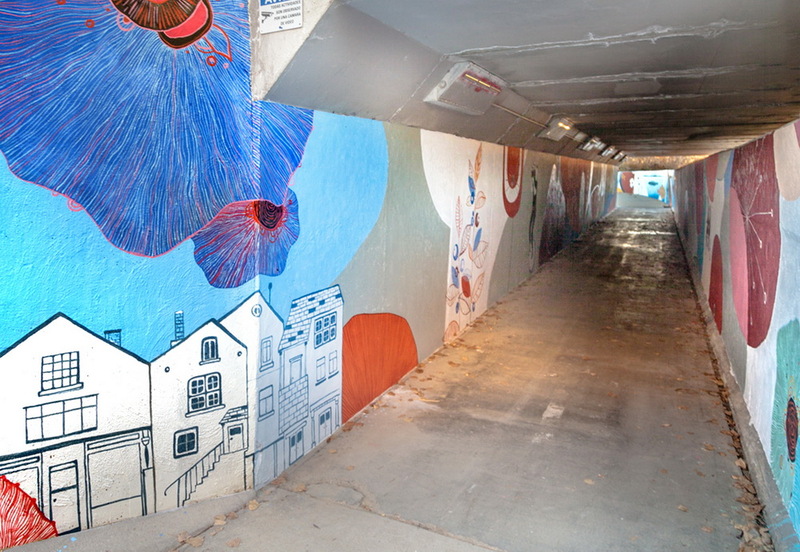 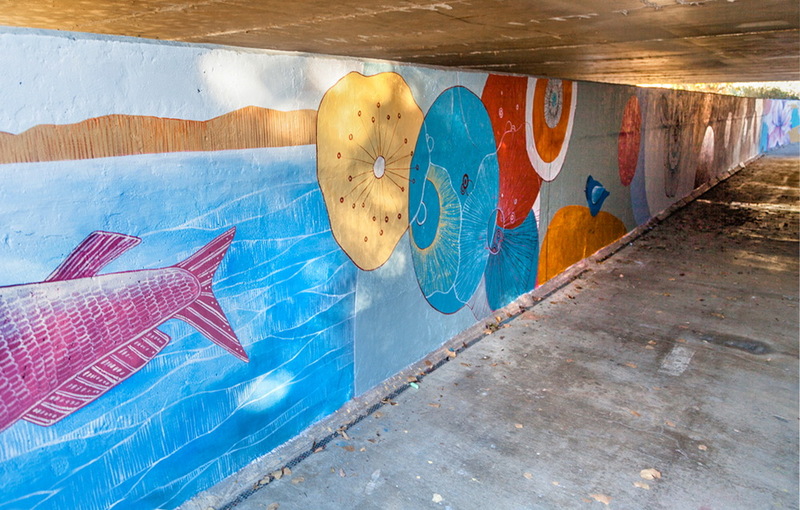 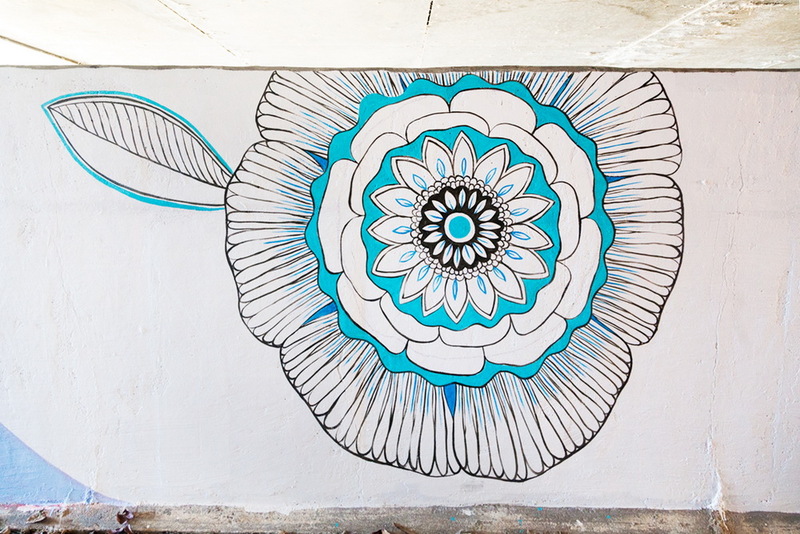 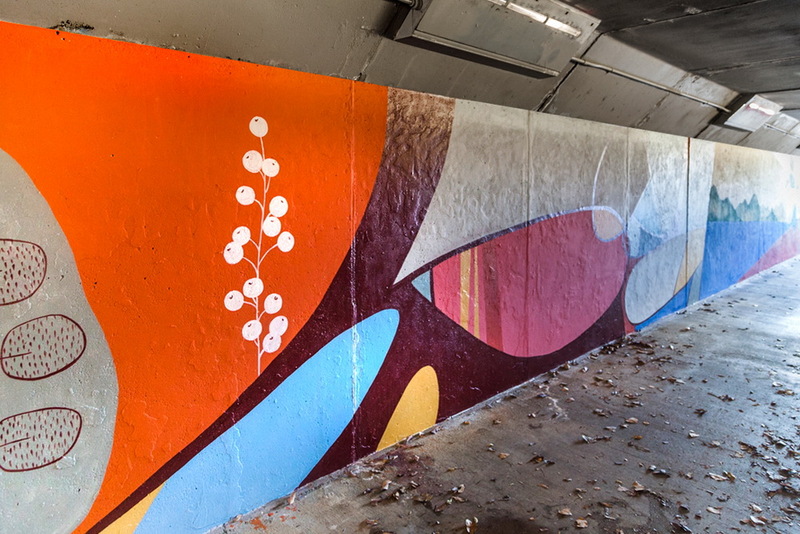 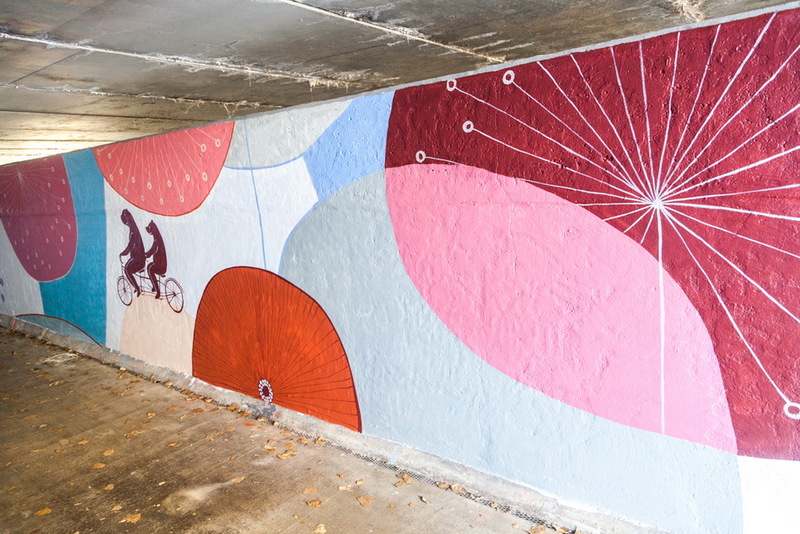 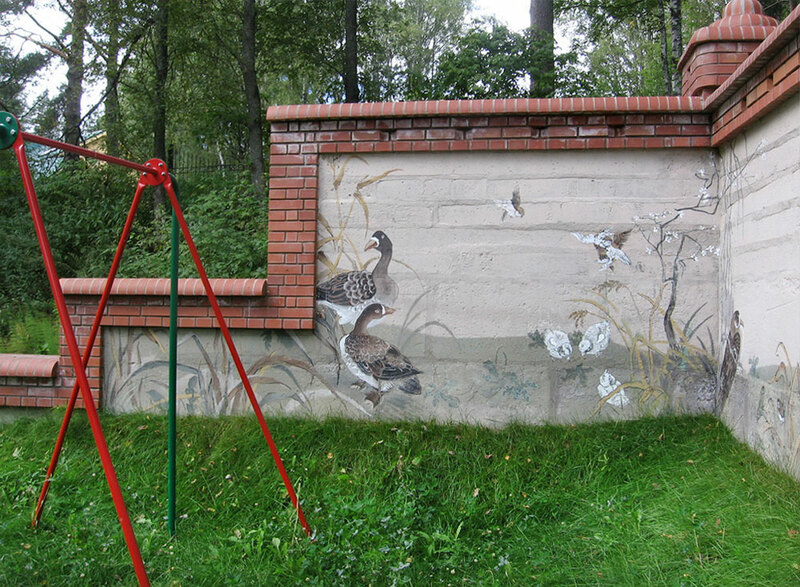 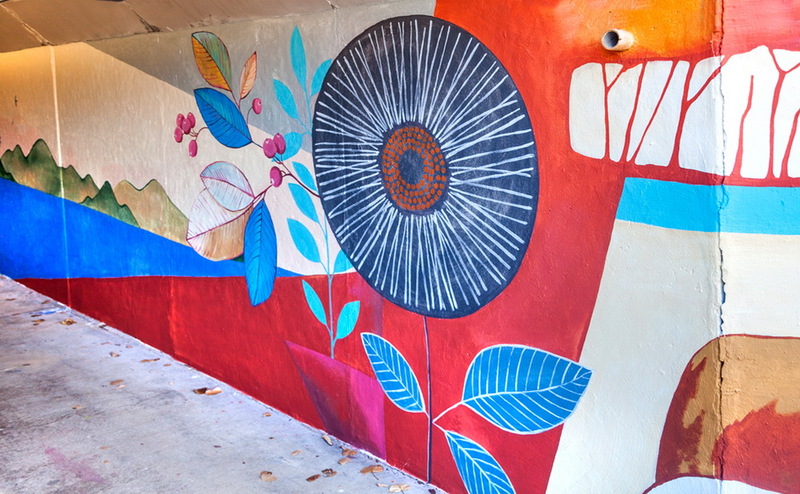 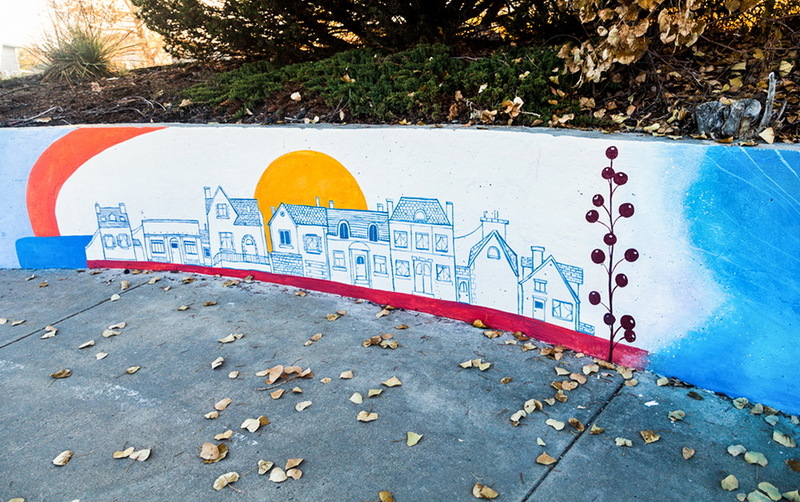 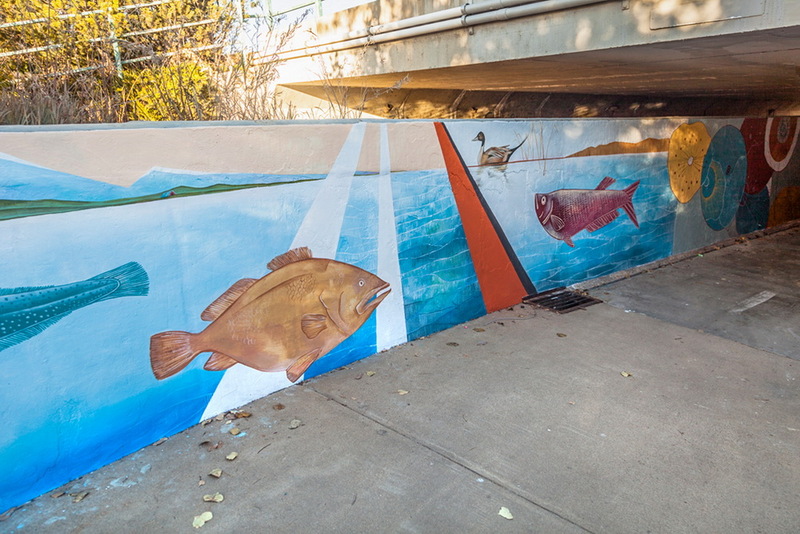 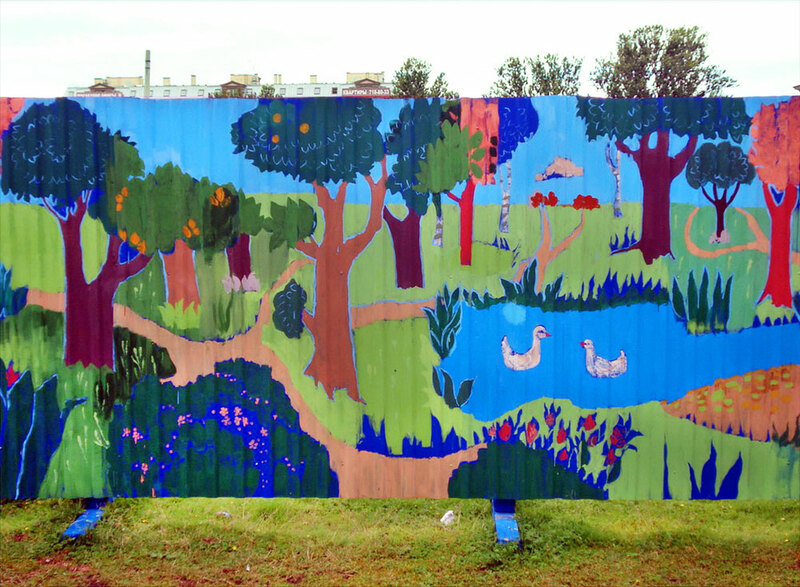 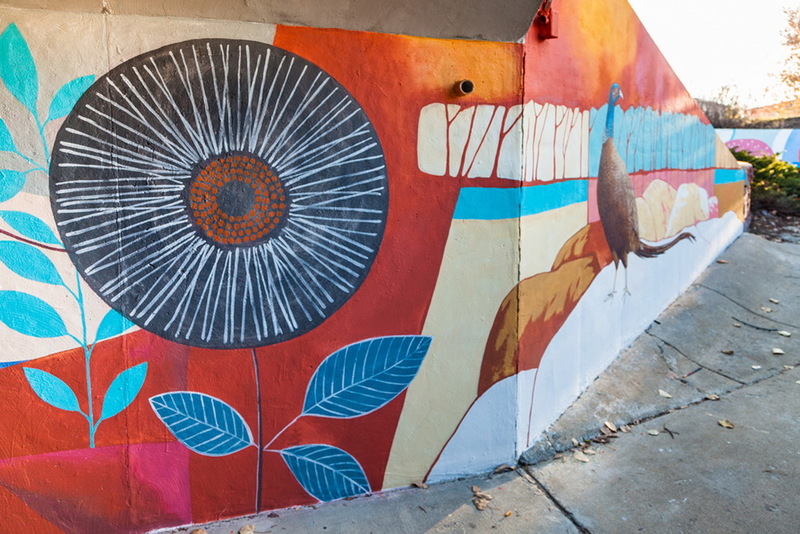 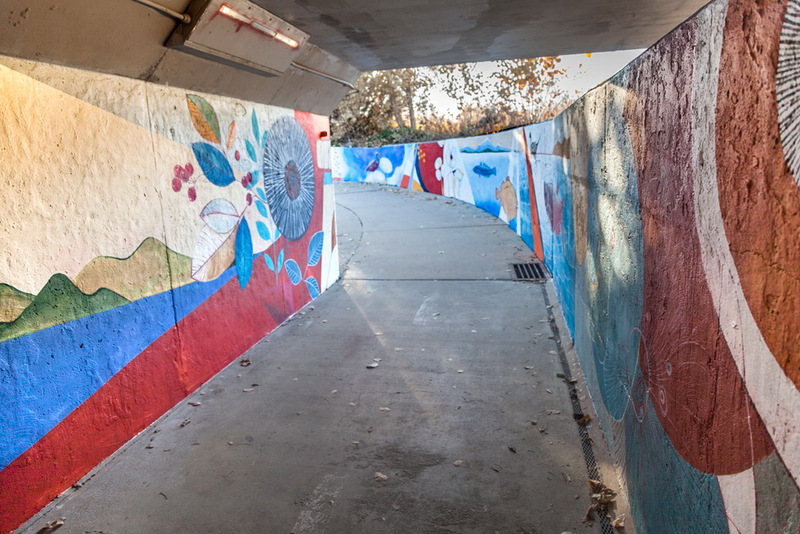 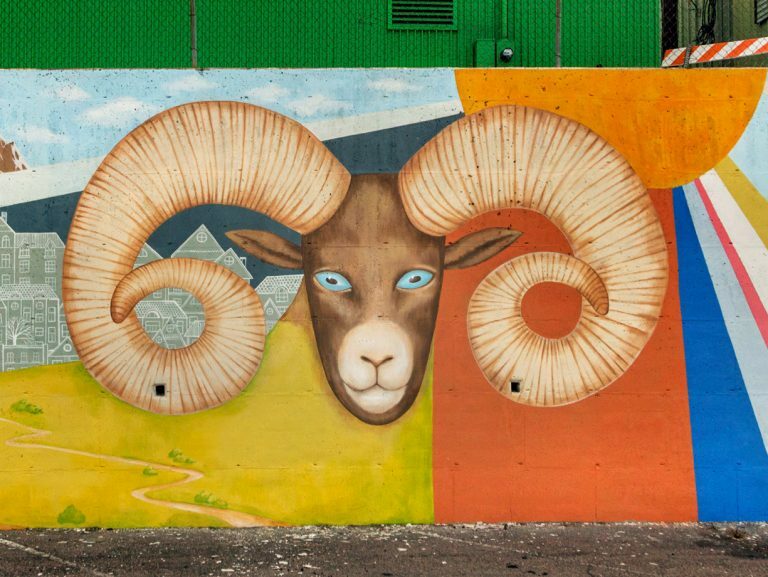 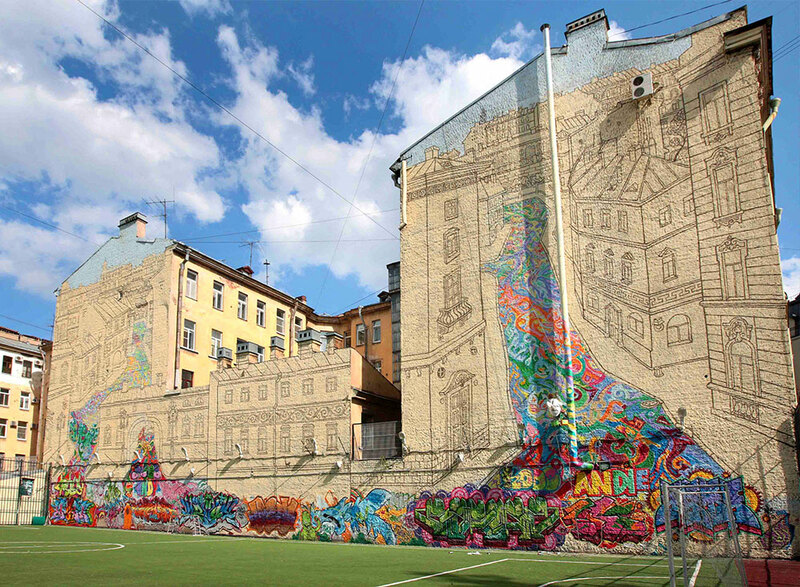 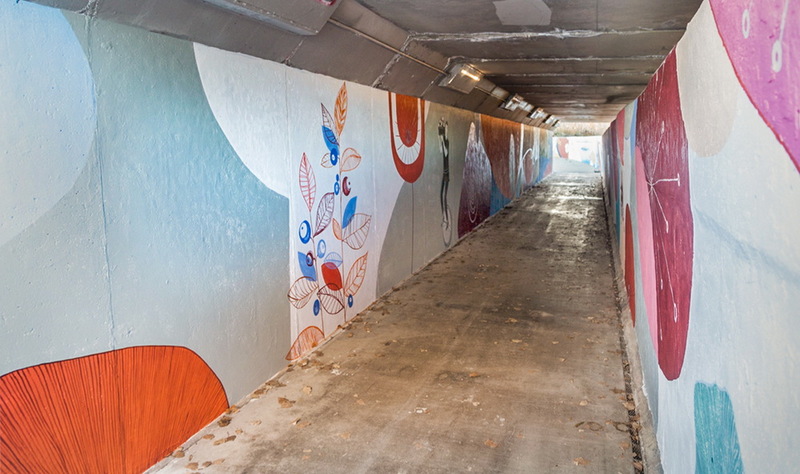 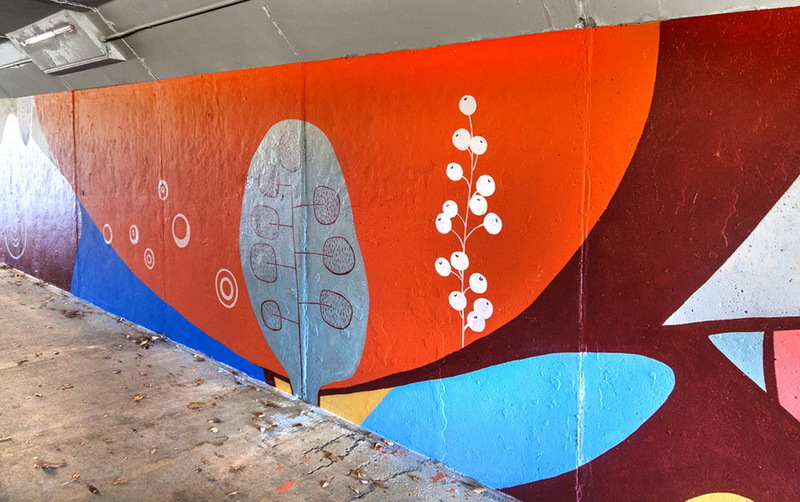 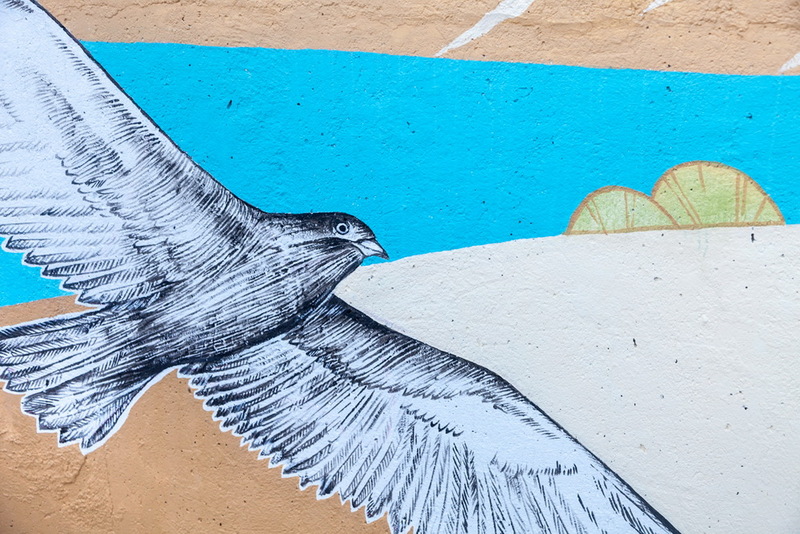 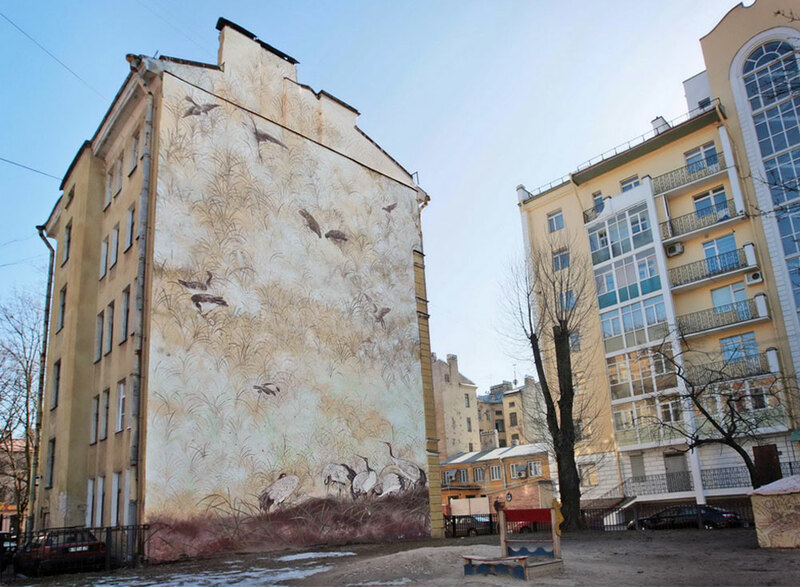 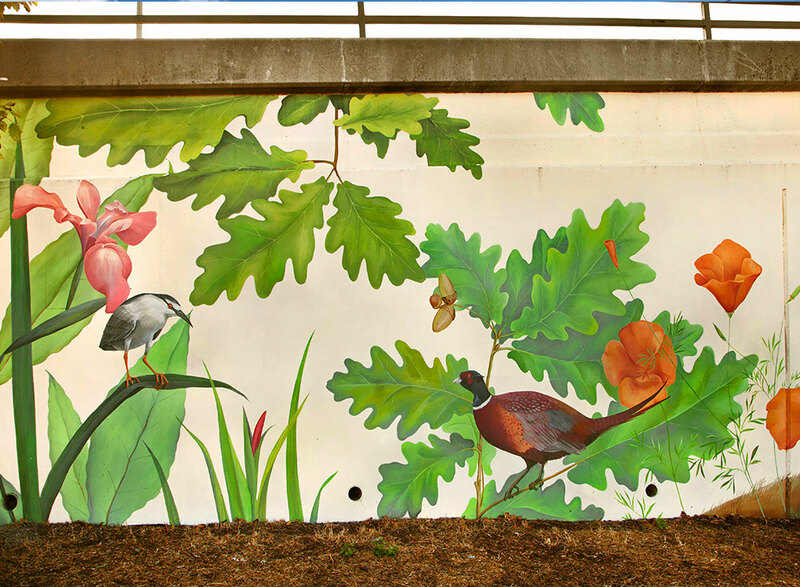 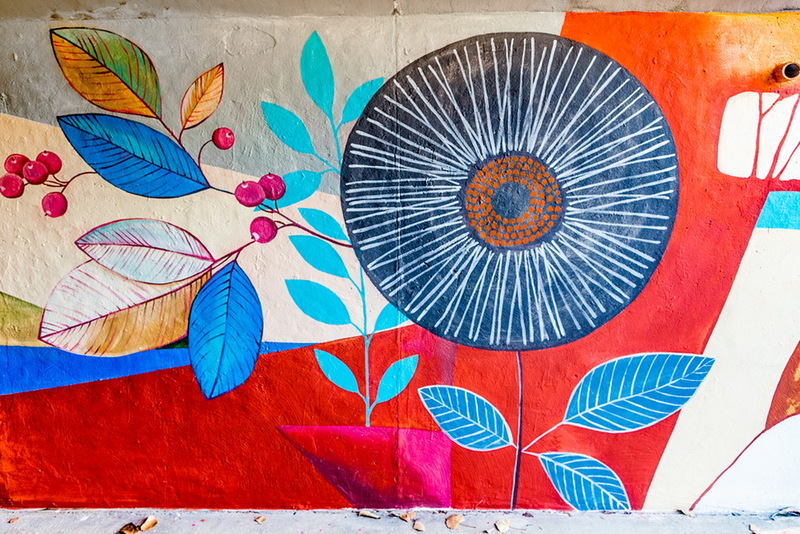 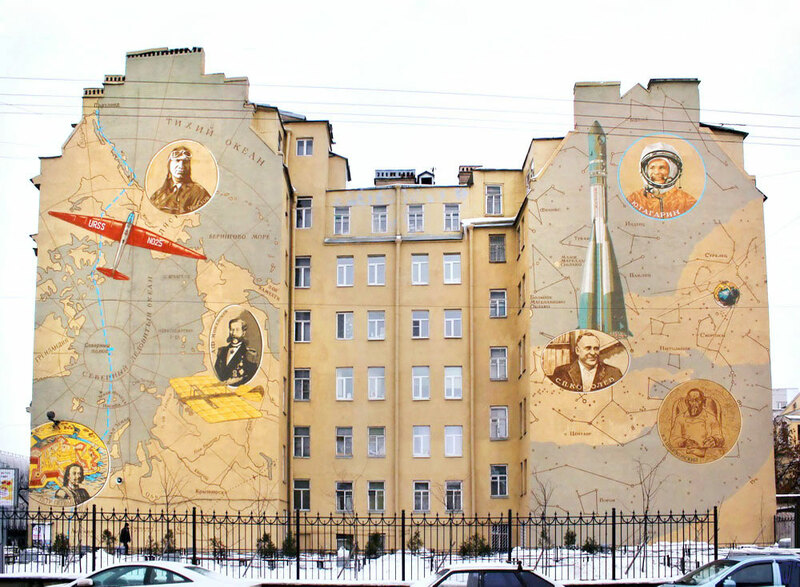 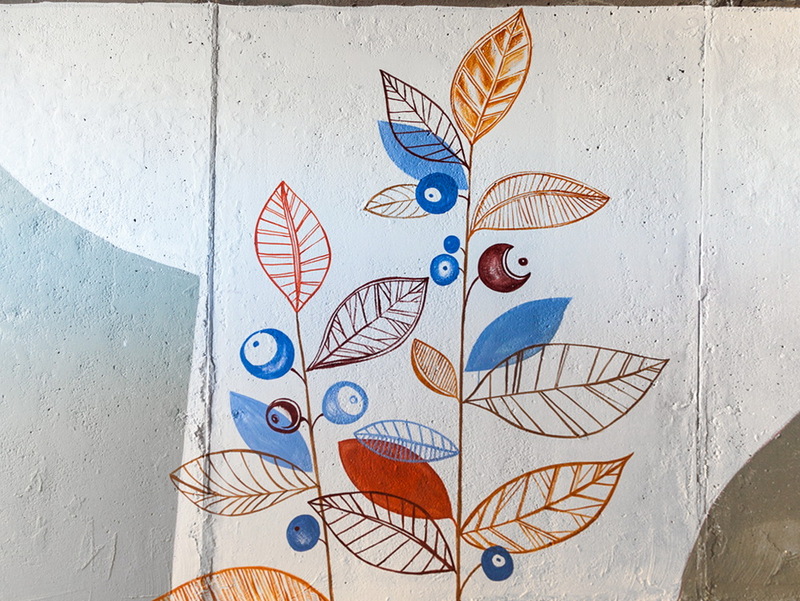 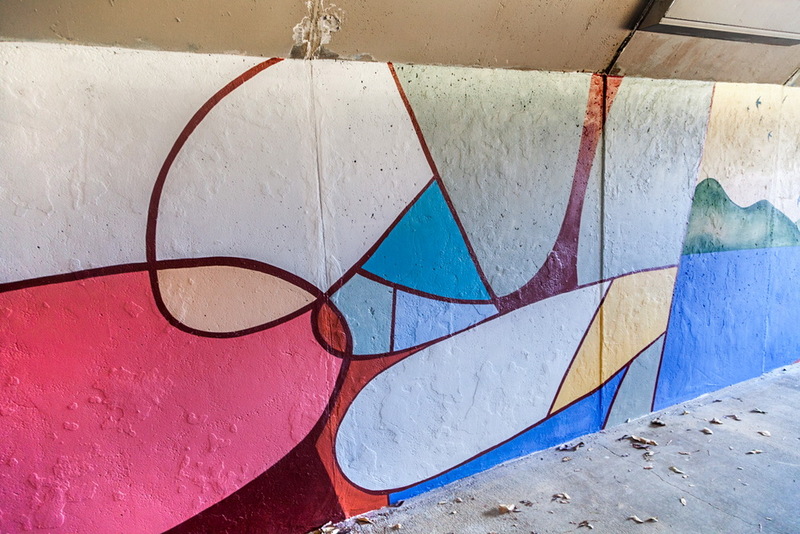 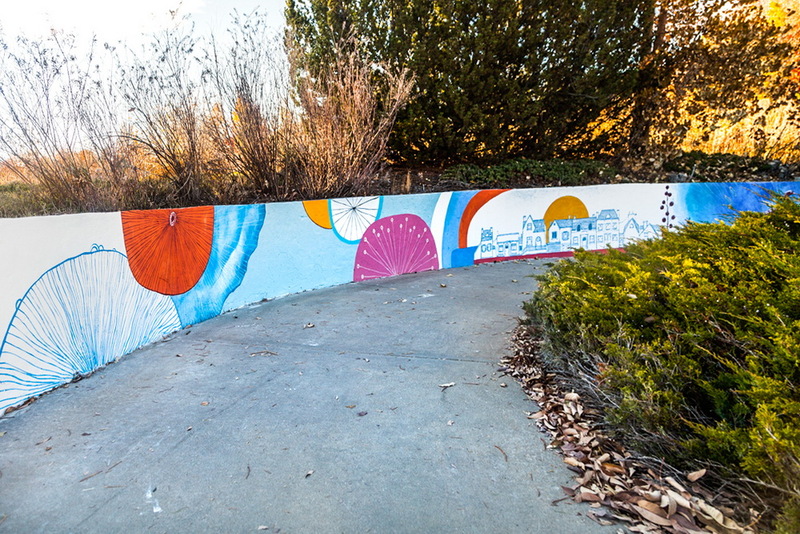 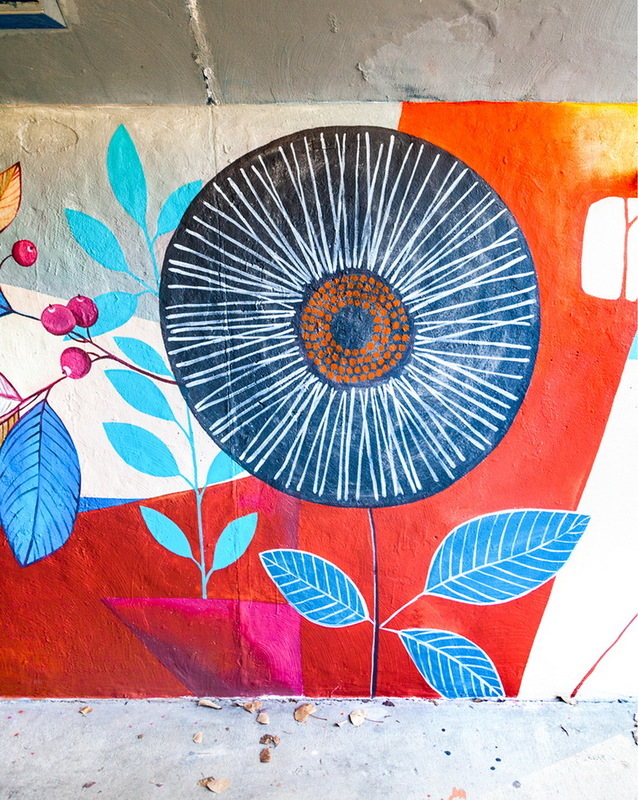 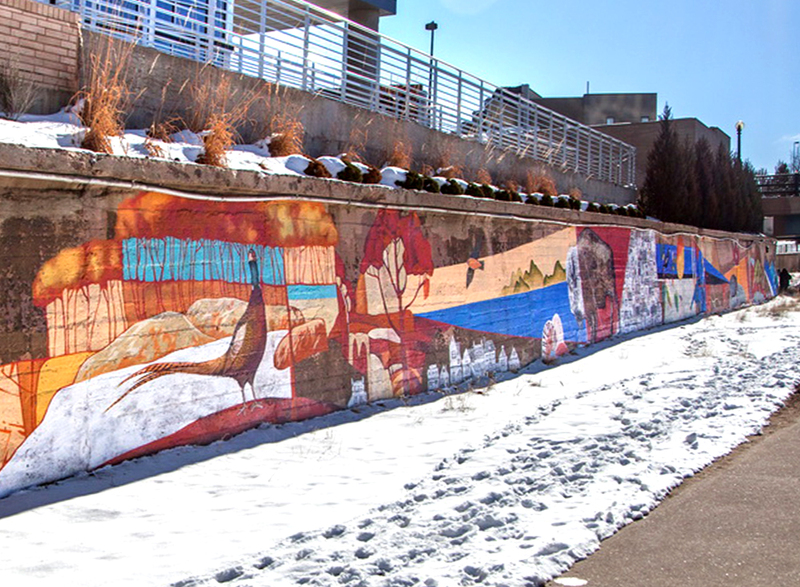 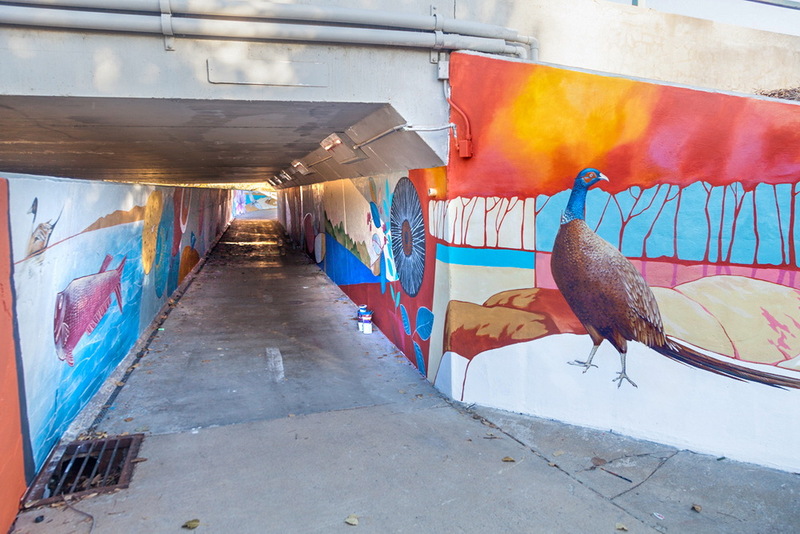 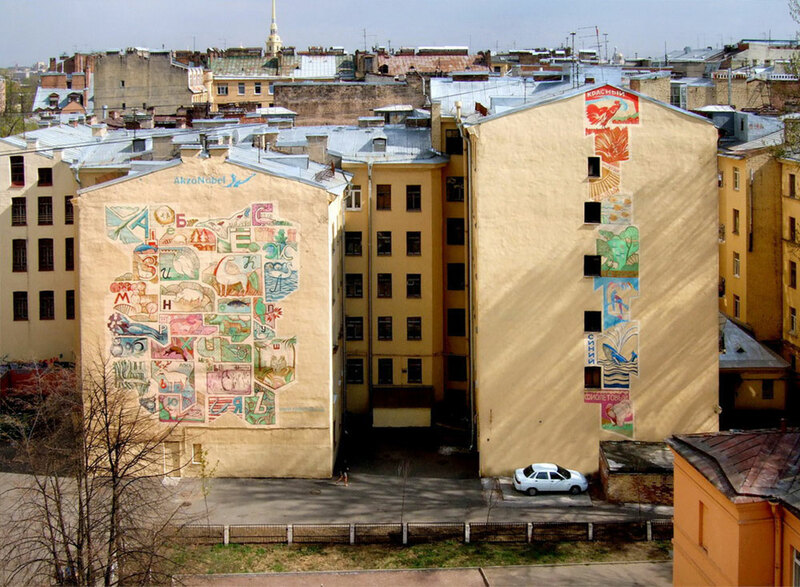 The design for this tunnel mural was chosen during a neighborhood/community meeting by the selection panel comprised mostly of neighbors and city representatives. 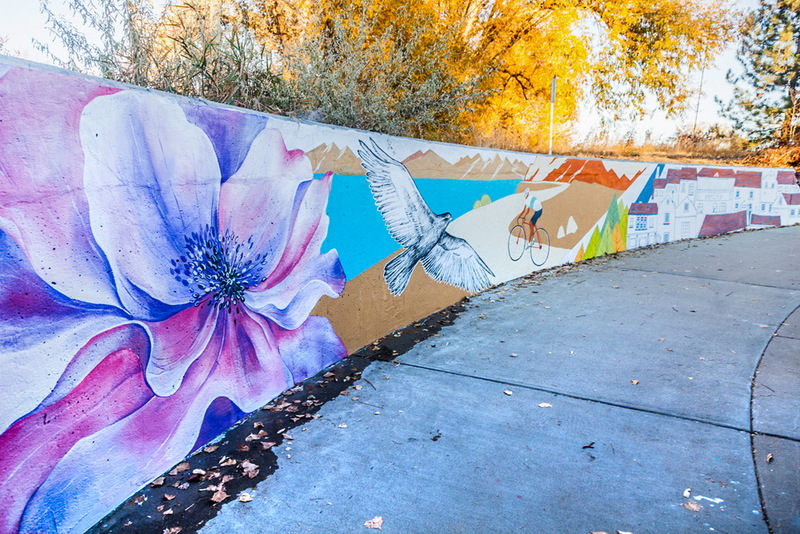 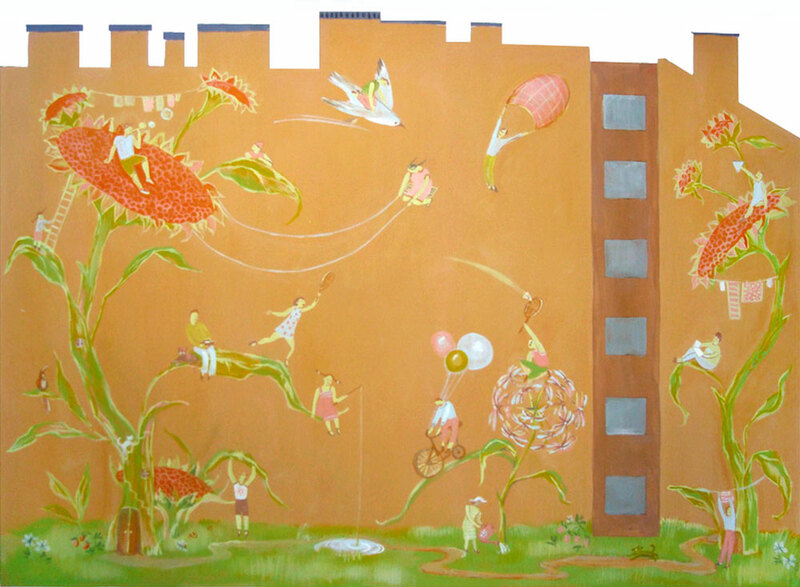 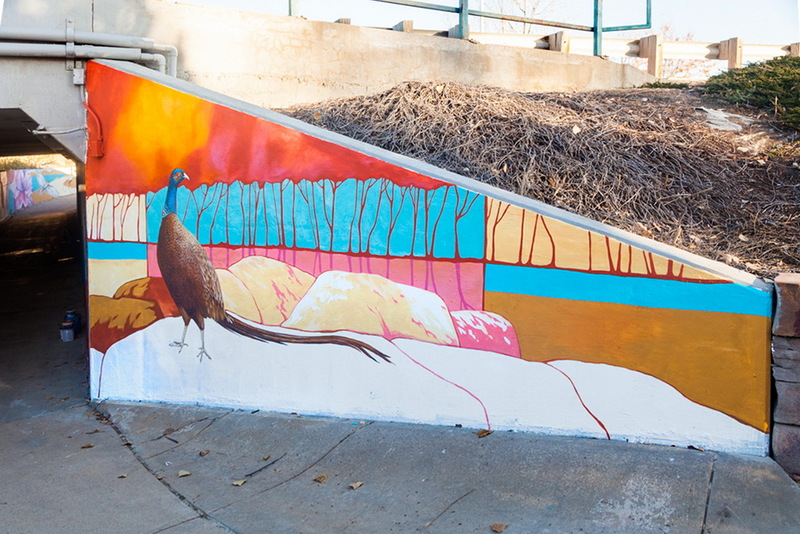 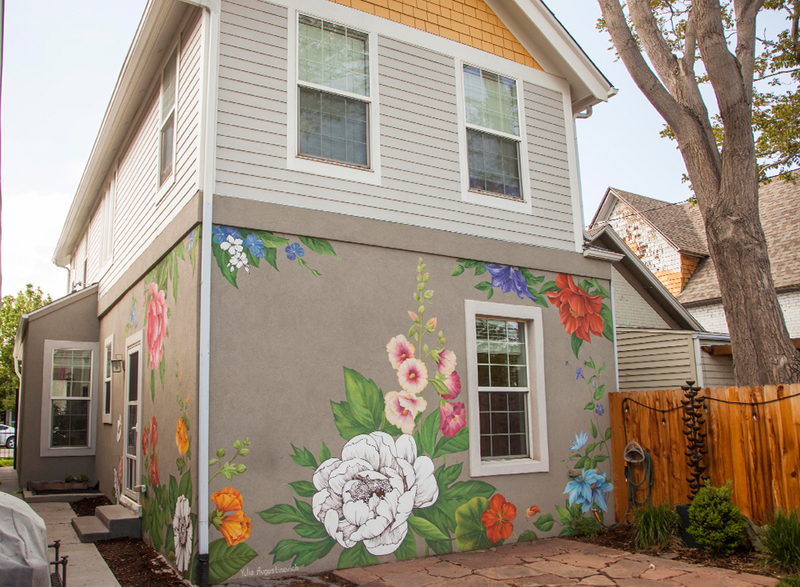 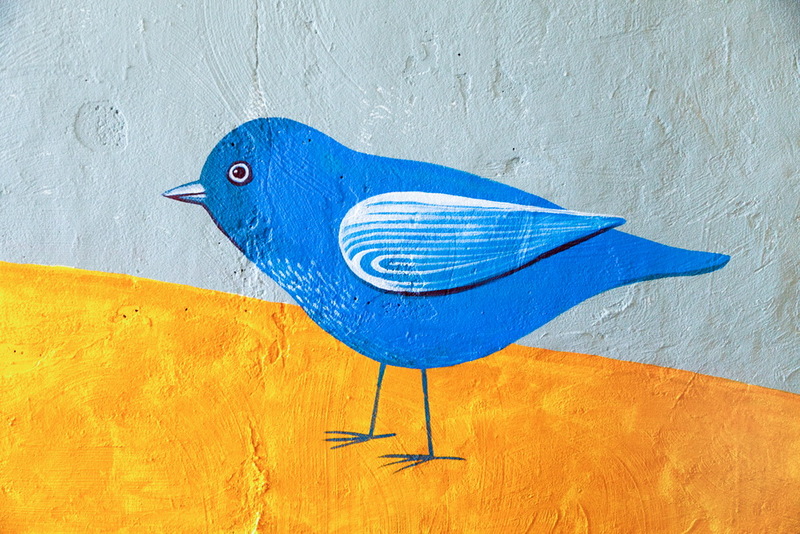 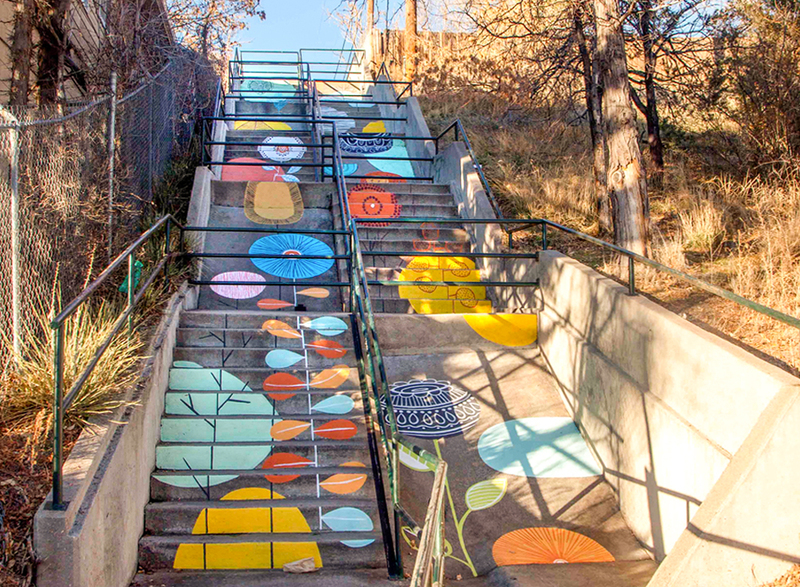 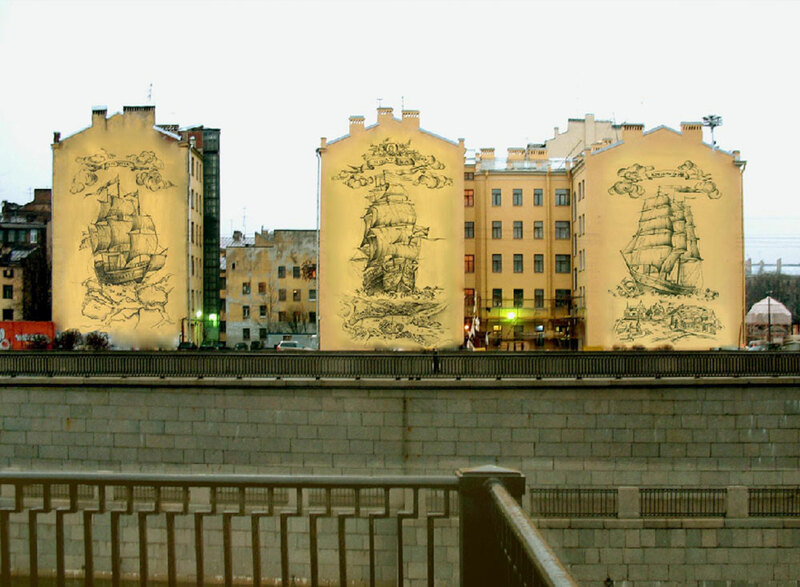 My proposal was chosen from three other designs by Colorado muralists.